Here at Monterey County Eye Associates, we help patients address all kinds of issues that affect their eye health and vision quality. By offering state-of-the-art care, we can help ensure optimal results and ideal treatments. A number of patients have had questions about retinal conditions and how they can be treated. Let's take a moment right now to explore the issue of macular holes and how they can be addressed. To understand macular holes, it's first important to understand what the macula is and what it does. 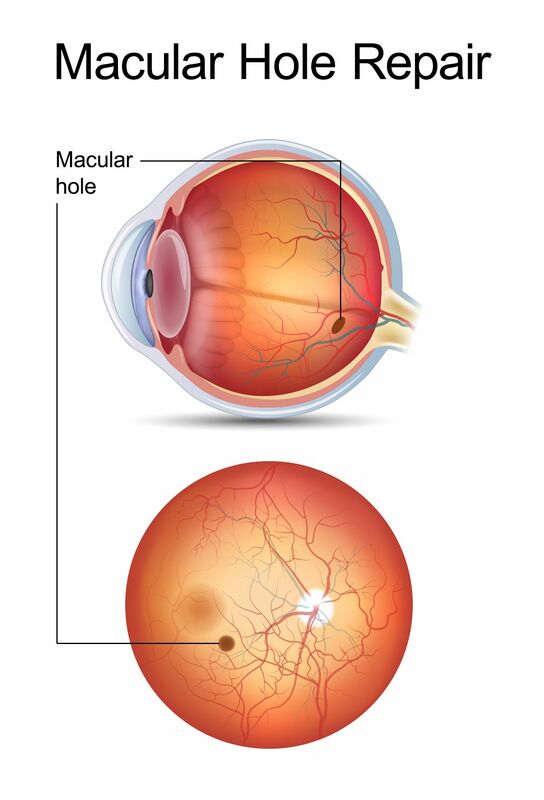 Macular holes are often associated with shrinkage of the vitreous gel within the eye. This gel can attach to and peel at part of the retina, causing holes and other kinds of retinal damage in some cases. Keep in mind that advanced age may be a contributing factor to macular holes forming. In addition, if you have macular holes in one eye, there is a 10 percent to 15 percent chance that macular holes will develop in your other eyes. In many cases, the ideal option for treating macular holes and preventing further progression and vision loss is to perform a vitrectomy. A vitrectomy is an outpatient procedure performed using local anesthetic. During the procedure, the eye surgeon removes the vitreous gel that caused the damage and places a small bubble of gas/air in the eye. This bubble helps hold the damaged macula in place so it can heal, in essence serving as a type of internal bandage. Given the location of the retina and the nature of the procedure, patients will need to maintain a face-down position during recovery. This and other matters related to post-op care can be discussed in more detail during your consultation. To learn more about addressing macular holes and other serious vision issues, be sure to contact our team of eye care specialists today. The team at Monterey County Eye Associates will work with you to ensure you receive optimal vision.